However, this is also the 2 months where I got alot done in the morning. I could be washing the toilet one morning, and brushing some cabinets on another, make coffee, read the papers, sometimes I got for a ride, all before I hit the office. So I must say that I do enjoy getting so much done before the day starts. 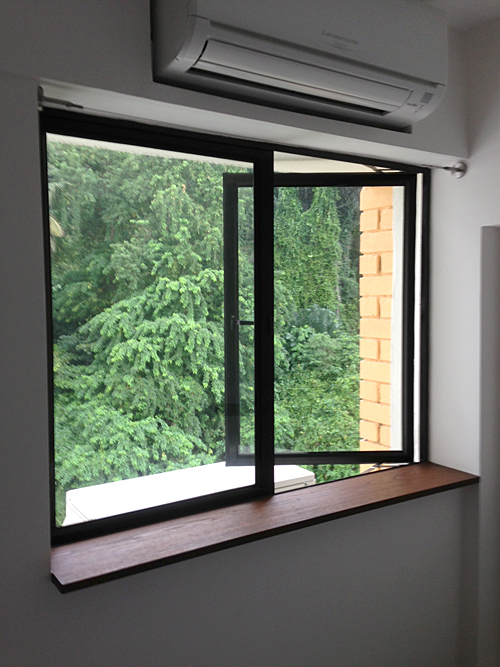 I also happen to insist on a clear glass window so I get maximum light, but that also meant privacy may be compromised. 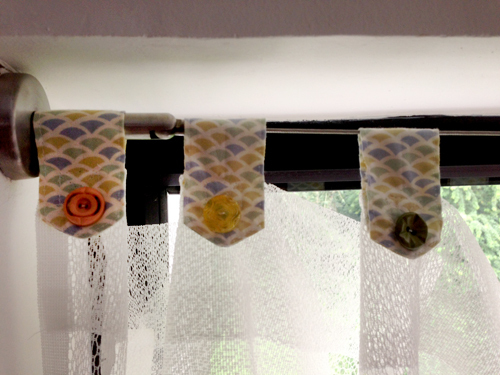 So 2 months later, it was decided… day curtains. I get to keep the light in, but create a shield for privacy when I needed it. 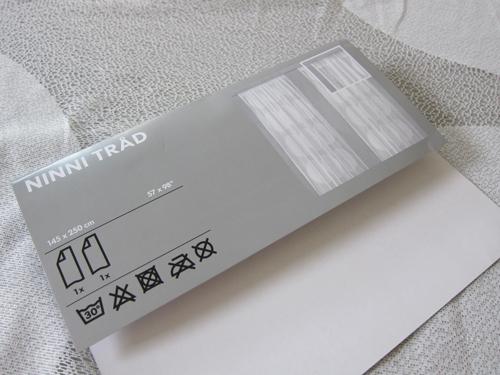 I went to IKEA and found these Ninni Trad day curtains to be quite suitable. 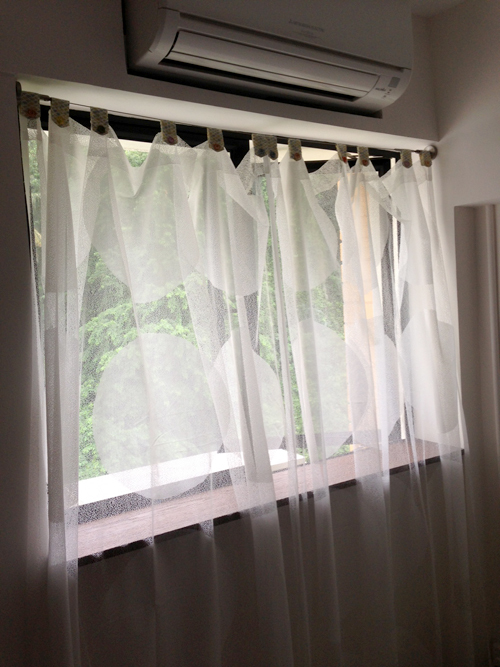 I wanted to keep my window clean so I opted for a tencel wire ones (Dignitet), also from IKEA. 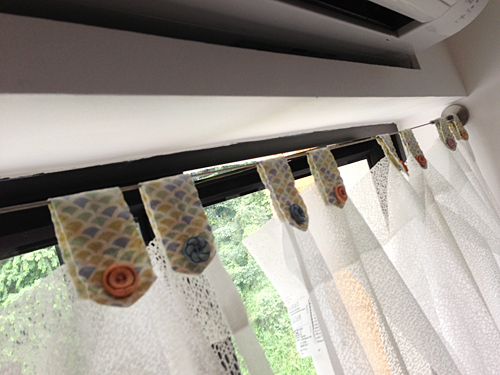 I could use clips as options to hang the curtains or sew on loops instead. 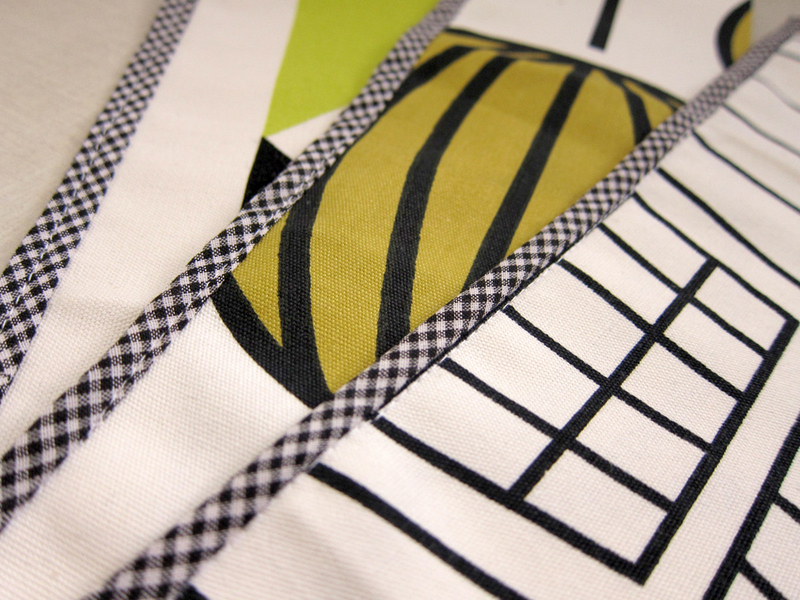 I decided on fabric ones so that they can be made more interesting visually. 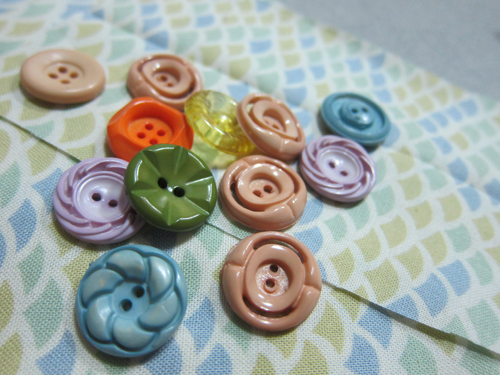 Also, I’ve been looking for an excuse to use those vintage buttons we inherited from my auntie. Here’s a perfect opportunity! 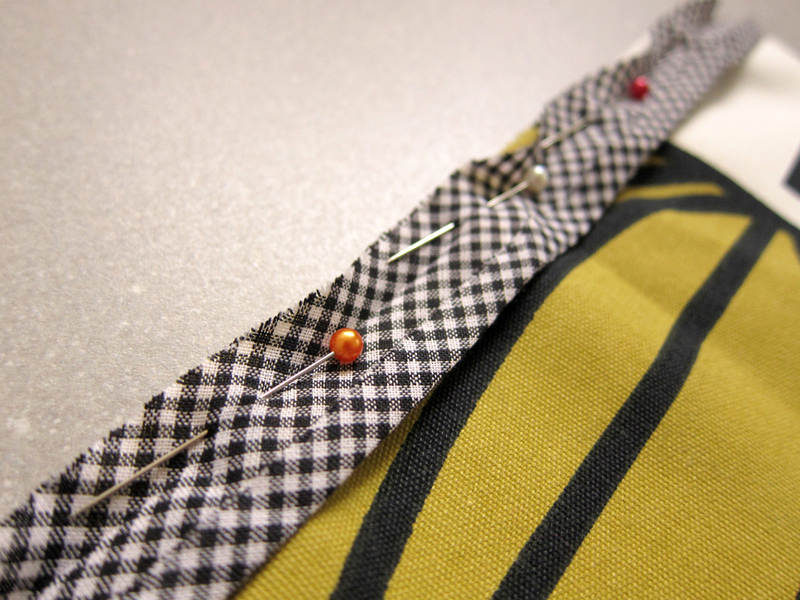 Strips of 3x5in width fabric strips and vintage buttons. Oh, I used velcro too which isn’t in the picture. 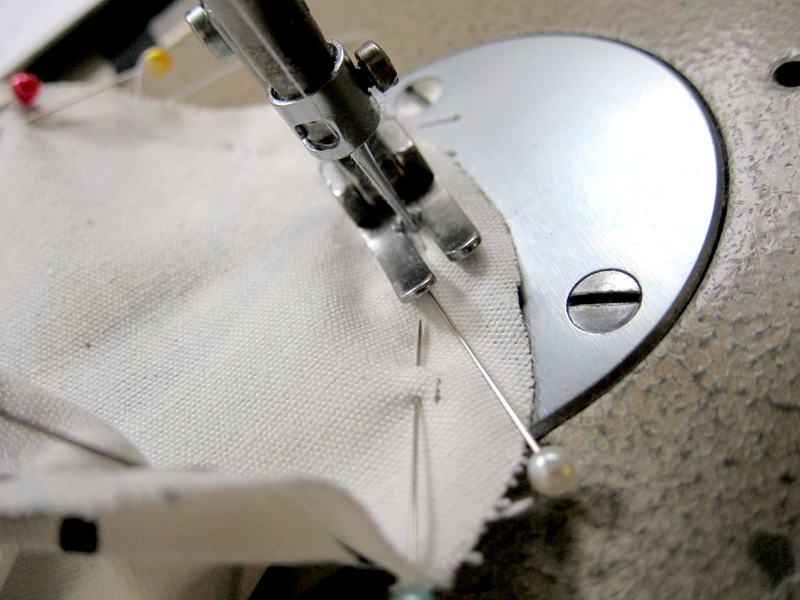 Sewing the sides up to make 1.5in strips as loops for the wire curtain. 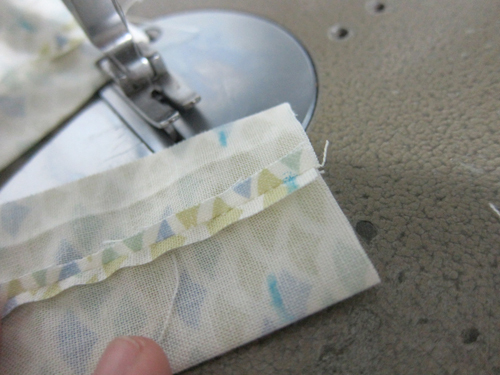 I shifted the sewn line to the centre so the strip will be balanced. I made a V-shape on one side and trimmed some fabric off so it doesn’t bunch up too much when flipped over. 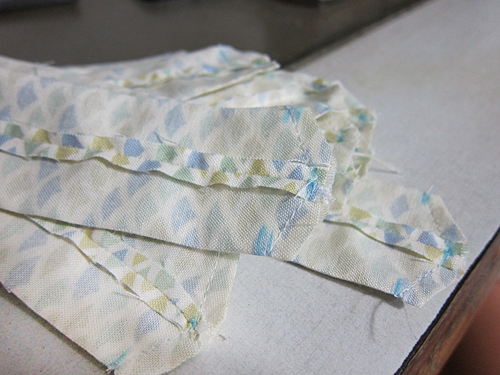 After I turned the fabric inside out, I made some stitches along the edges before sewing the velcro on. 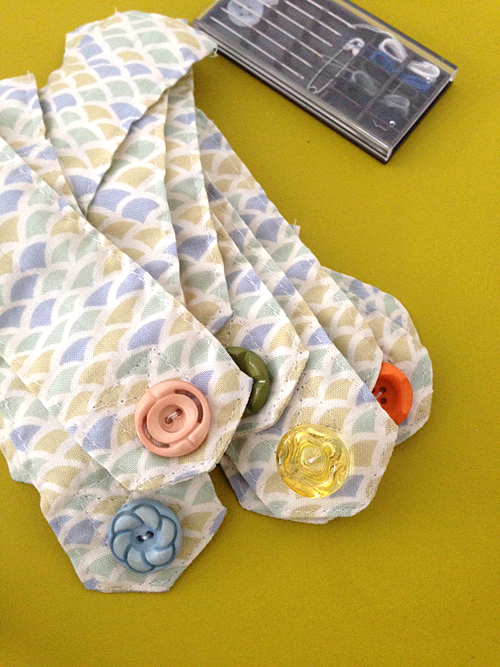 Hand sewn the buttons on. 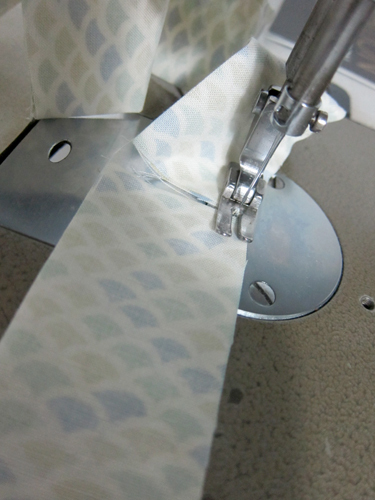 Sewing the strips onto the curtains. 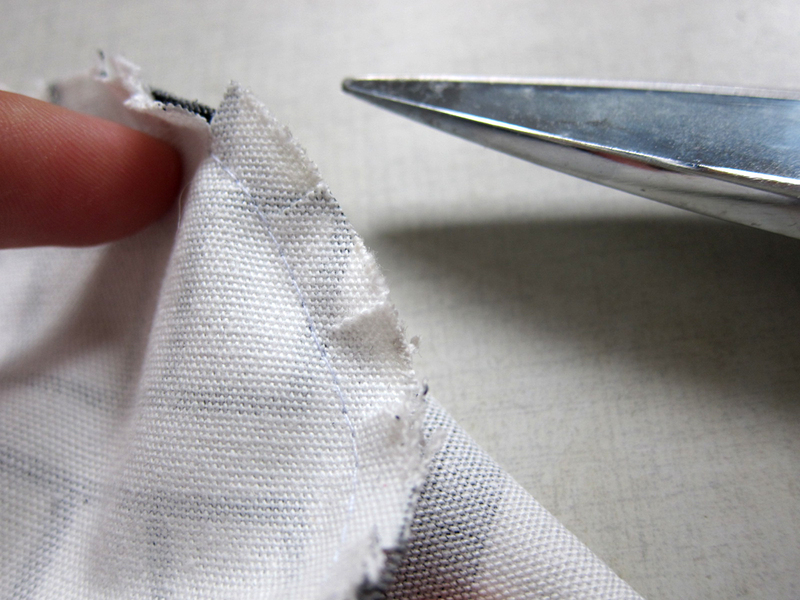 I double sew it for reinforcement. These curtains produces a translucent effect which helps to soften a room, giving it a romantic feeling. I sure hope the wire don’t start sinking in the middle! 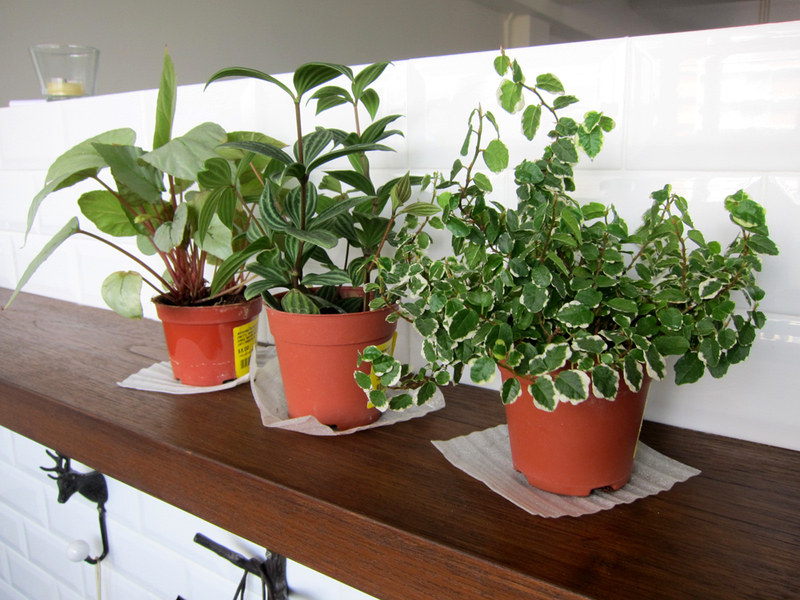 I bought these potted plants about two months ago. I initially wanted to re-pot them into something prettier but finding what I like in the correct size prove to be in vain after 2 long months. :S So, can’t have them looking like this forever… I’ve got tons of fabrics lying around so fabric buckets make alot of sense. What’s great is I can always make new ones when I tire of these. 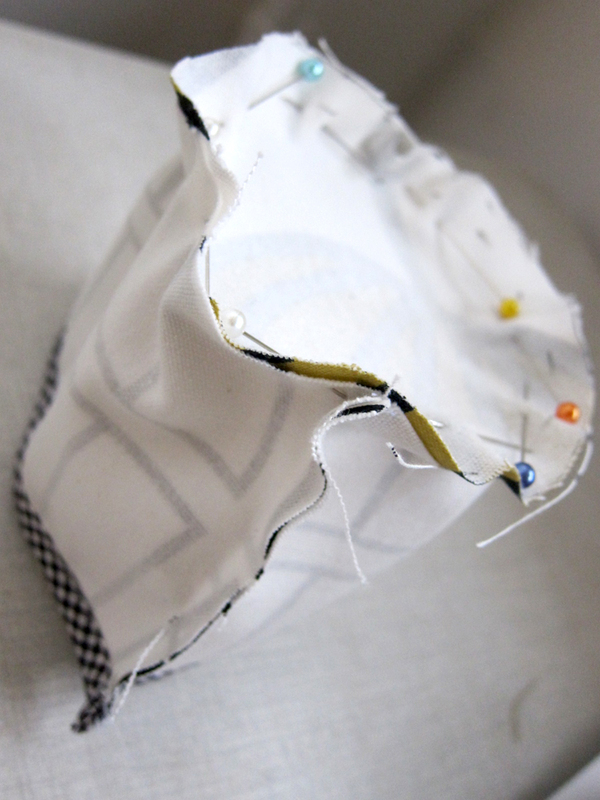 There are plenty of ‘fabric bucket sewing tutorials’ online, so just google and you should find lots. So, I won’t be posting a step-by-step guide here. Here’s one to start you off though. 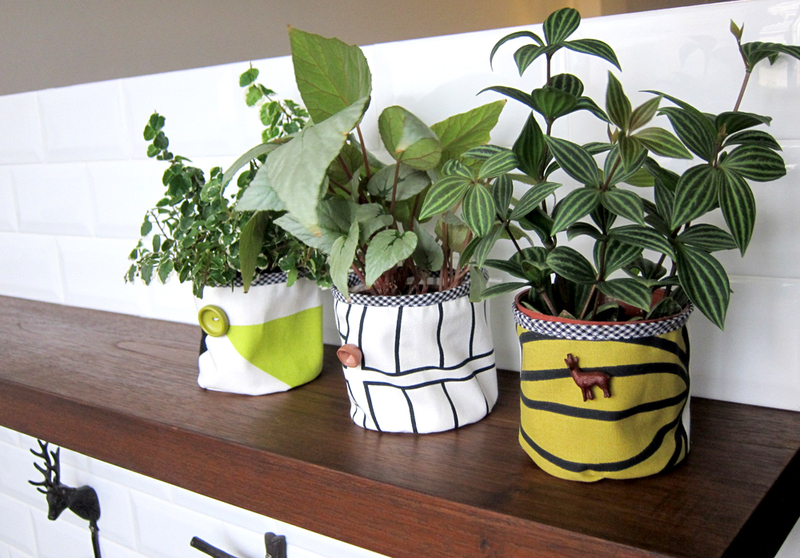 Surely something can be done to these pots! Material needed; not much is needed really. Pinning the trimming on the upper edge. 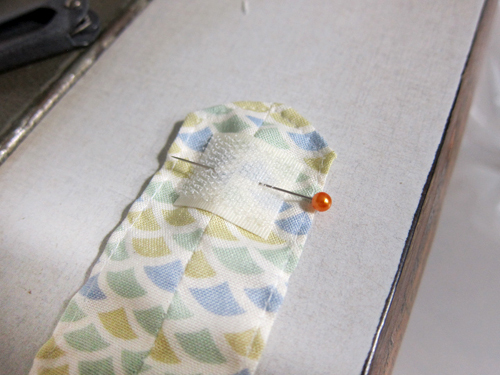 This sewing step is the most challenging for me; had to pause to turn the fabric umpteen times! 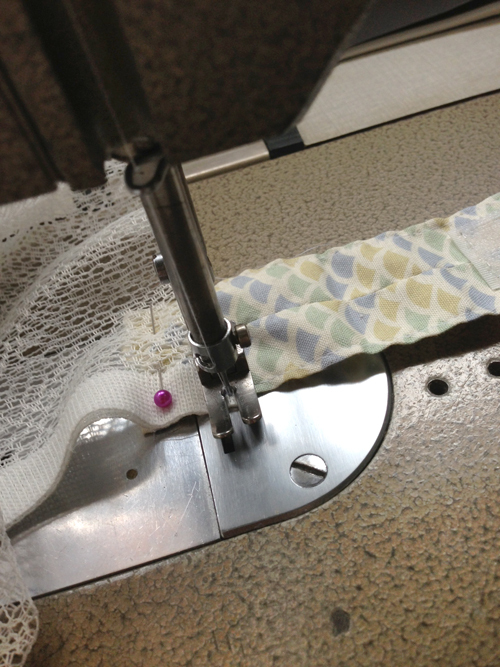 Making slits so that they fabric is not bunched up when I flip them around. Finished product! Yaysies… they are finally naked no more. 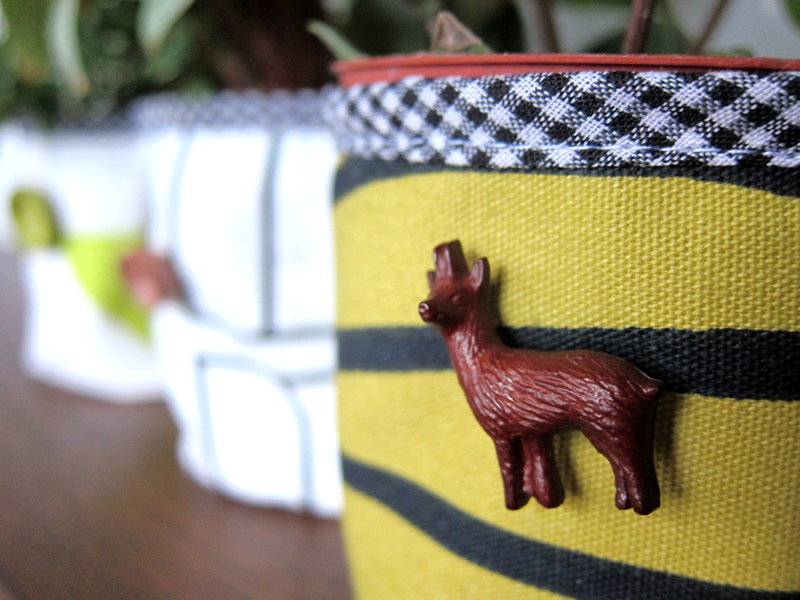 Closeup – Feel free to add embellishments to make your fabric buckets more interesting. I got these buttons when I was in Sydney, been wanting to use them. I’m happy I finally got these done! 🙂 They are so simple and quick to make and it really makes a difference to how the pots look now. Ideally I would love to make them with laminated fabric so they are waterproof. Oh well… maybe the next ones I make. 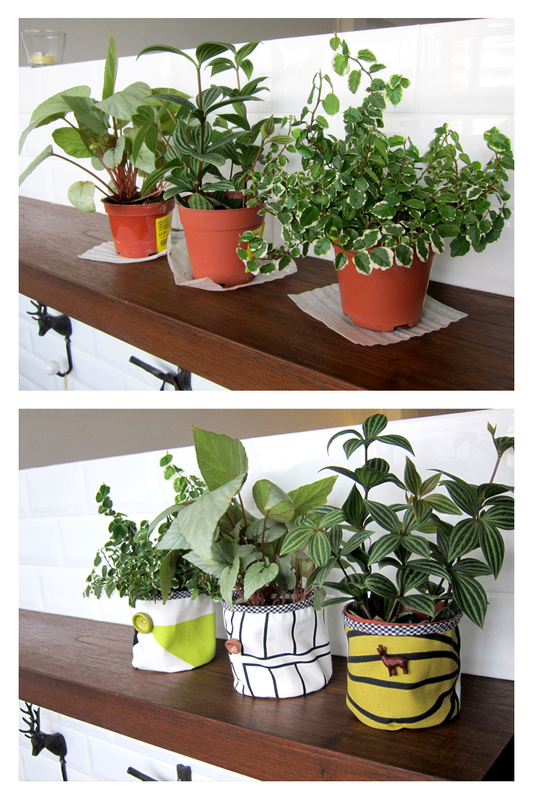 Hope this inspires you to make something pretty for your pots. 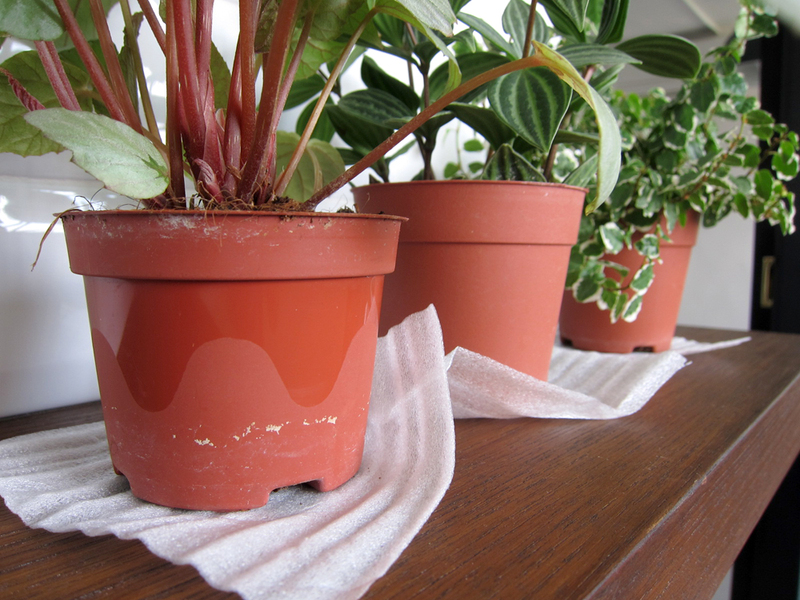 But if not for pots, fabric buckets are great for everything else; toiletries, knick knacks, cloth pegs, etc. 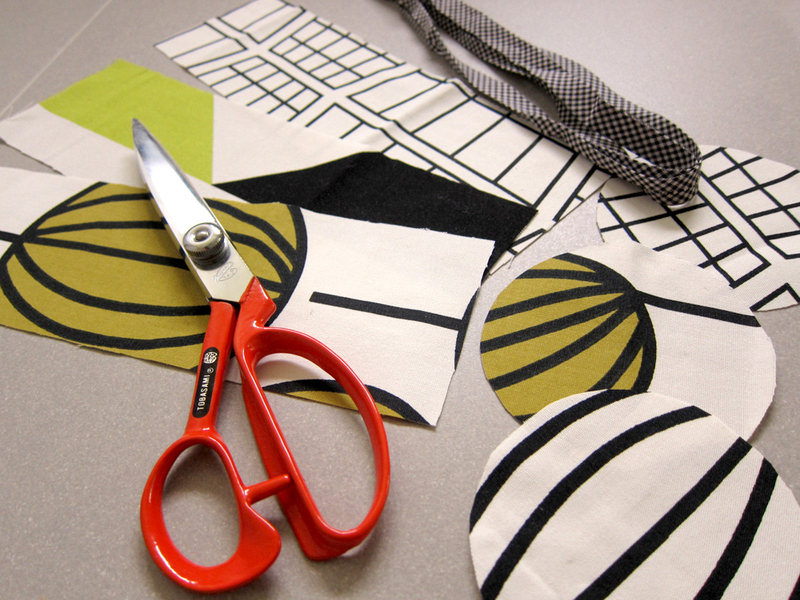 Til next time… happy sewing!